ASK YOUR LOCAL NEWSAGENT (UK ONLY) TO RESERVE YOU A COPY EVERY MONTH! 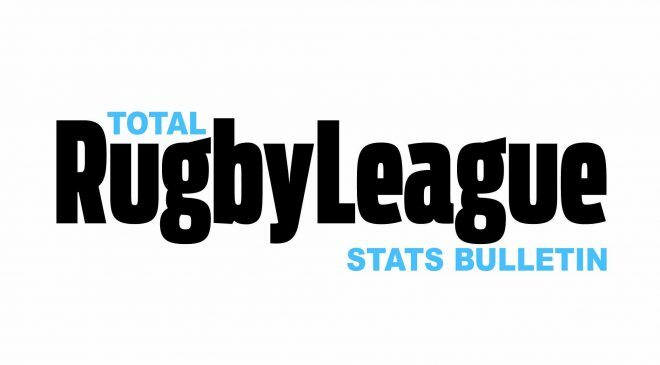 St Helens are storming it at the top of the Super League table so far this season and their new Aussie recruit Lachlan Coote is lighting up the competition with some stand-out performances. He talks to us about leaving the NRL, his first impressions of life as a Saint and where his long term future might be. As Catalans Dragons prepare to break new ground with an historic game at Barcelona’s Nou Camp stadium, we take a look back at some of the previous pioneering matches that have pushed back the boundaries for Rugby League. Are they a guide or a warning? Luke Gale continues his rehab from injury and tells us why he takes inspiration from the comeback story of Tiger Woods. We’ve put together a Combined XIII for Warrington for you to take a look and judge for yourself how you think this team of local Wolves would fare in a real competition. Would they make the grade? 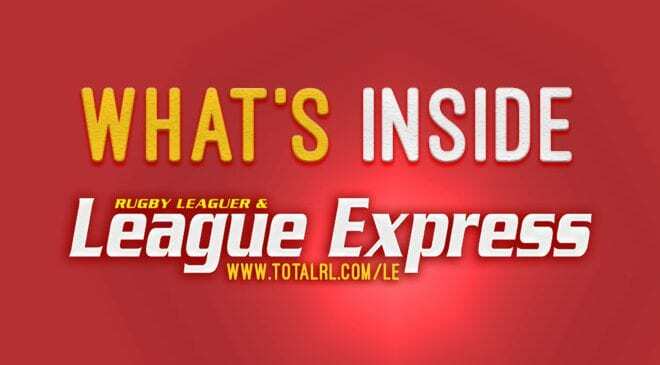 As the Championship gets ready for its day in the TV spotlight in Blackpool, we get the thoughts of some of the leading combatants on the importance of the Summer Bash, plus we pick out ten players to watch who we think will shine at the seaside. 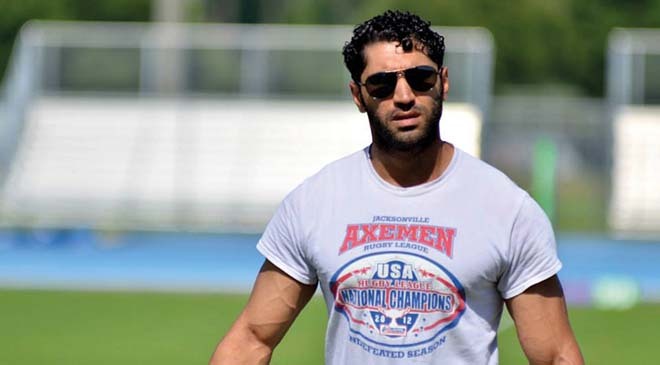 Featherstone’s new recruit from down under, Cameron King, talks to us about his decision to join Rovers whilst old pro Gareth Hock explains how his love of dogs is the key to his future beyond Rugby League. We catch up with Kirsty Moroney who has hung up her boots at Bradford Bulls to take on the coaching reins at the club instead, and we review the astonishing new Rugby League film by Joanna Lester, Power Meri, which charts the journey of Papua New Guinea’s women’s team as they make their World Cup debut. If you’re in need of even more inspiration, look no further than England Wheelchair Rugby League star James Simpson. Staying on the international scene, we’ve got some great stories from Canada, Norway, Poland, France and Wales, plus the unfolding tale of the battle for the soul of Rugby League in Greece. All this and loads more, plus some top quality grooming products on offer in our latest competition! 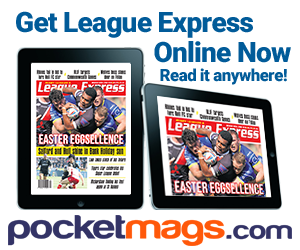 Rugby League World Magazine is your ‘access all areas’ pass behind the scenes of the world of Rugby League. Every month, packed with the colour and detail behind the news with views and analysis from the sport’s leading writers and personalities. Rugby League World is essential reading for anyone who cares about Rugby League, wherever and by whoever the greatest game is played. Established in 1976 as ‘Open Rugby’, the magazine adopted the title Rugby League World in 1999. 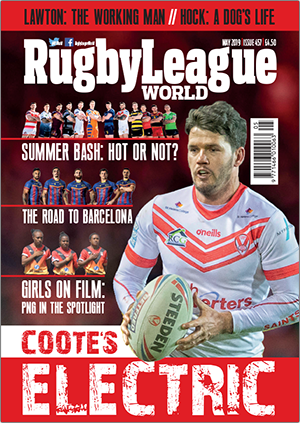 Rugby League World is widely available from newsagents in the United Kingdom. It is also available on postal subscription in the UK and worldwide.